Northwestern will host Wake Forest in next season's ACC/Big Ten Challenge, sources told @CBSSports. The Wildcats are scheduled to face Wake Forest in the 2016 ACC-Big Ten Challenge, CBS Sports’ Jon Rothstein reported Monday. The annual series pits teams from each conference against each other over the course of a weekend. 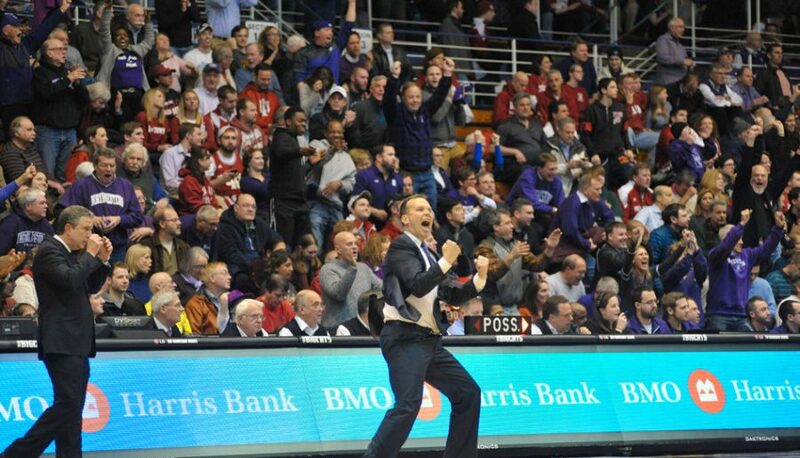 Northwestern faced Virginia Tech in the 2015 incarnation and beat the Hokies 81-79 in overtime. The matchup against Wake Forest adds to a developing non-conference schedule that will feature contests against Butler and Dayton, as well an opportunity to participate in the Legends Classic, a four-team early season tournament also featuring Colorado, Notre Dame and Texas. 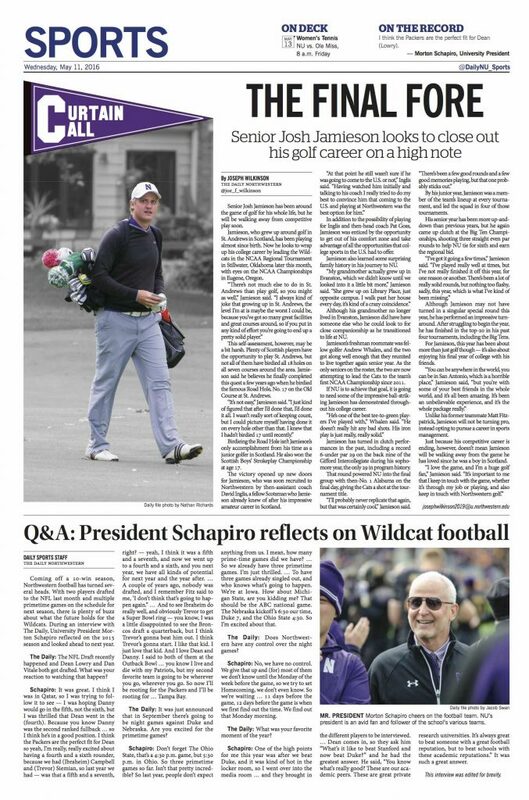 Joe Wilkinson penned the latest entry in the Curtain Call series, a feature about Josh Jamieson and his career with the men’s golf team. 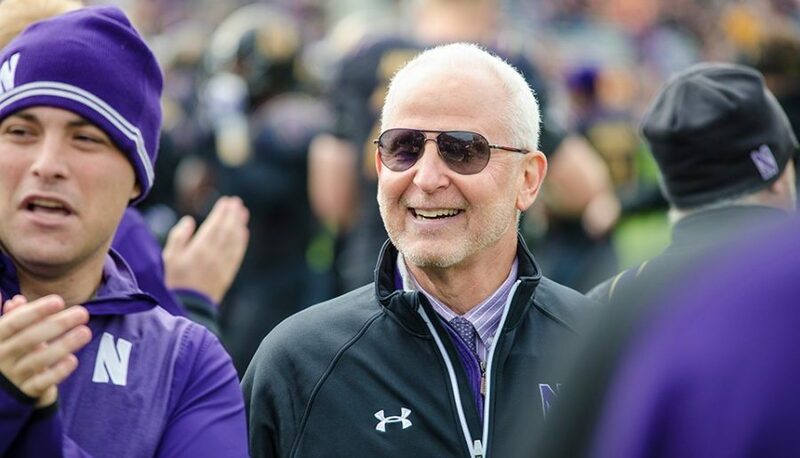 Northwestern President Morton Schapiro talked Wildcats football, reflecting on the 2015 campaign and looking ahead to 2016. The recently-drafted Dan Vitale went retro in regards to his role with the Tampa Bay Buccaneers. 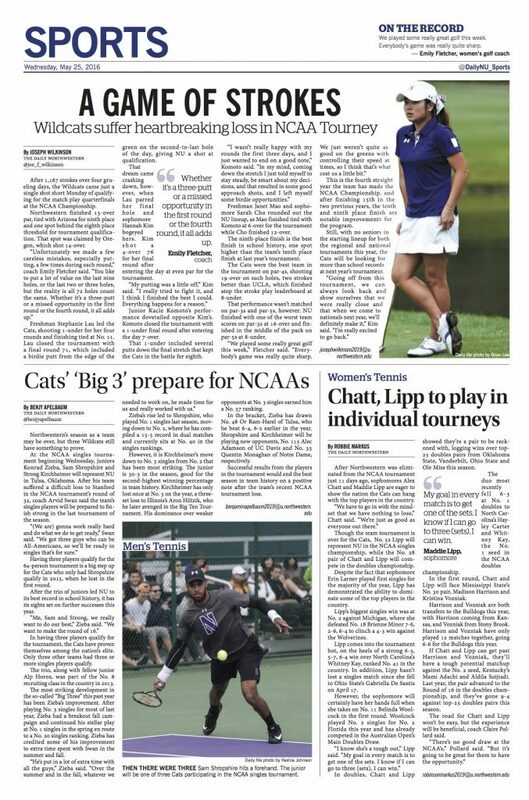 The Northwestern softball team is entering its final road stretch in dire need of a few wins to qualify for the NCAA Tournament. Melissa Haniff previewed the Cats’ upcoming slate. 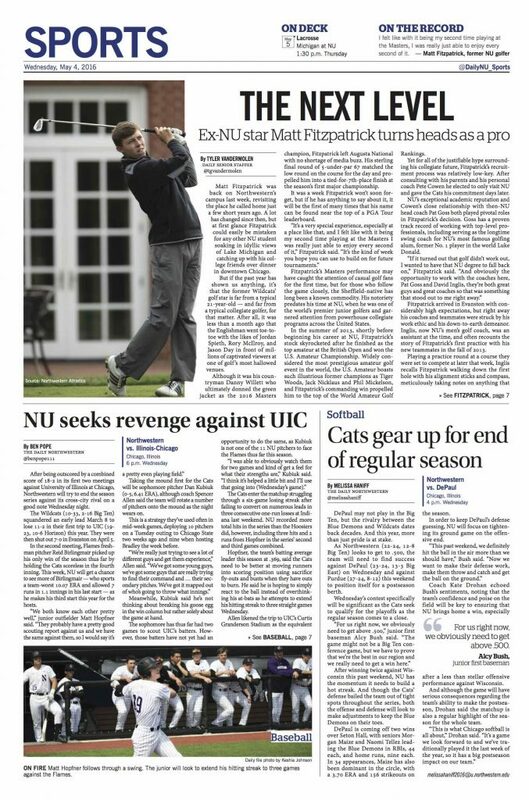 Tyler VanderMolen dove into the professional career of former NU golf star Matt Fitzpatrick, who participated in the Masters last month. 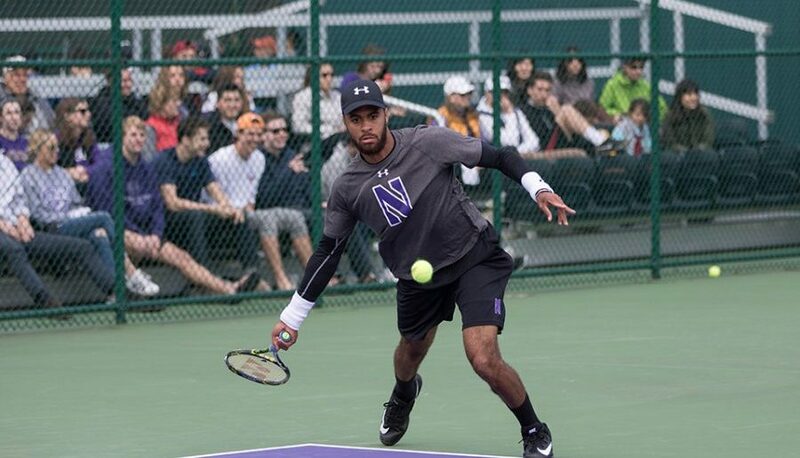 Garrett Jochnau wrote about Northwestern men’s tennis retaining its top-16 rank and earning the right to host the opening rounds of the NCAA Tournament. Ben Pope previewed the baseball team’s final opportunity to secure a win over cross-town rival UIC. Lacrosse star Selena Lasota earned Big Ten Offensive Player of the Week honors after a career-high 8 goals. 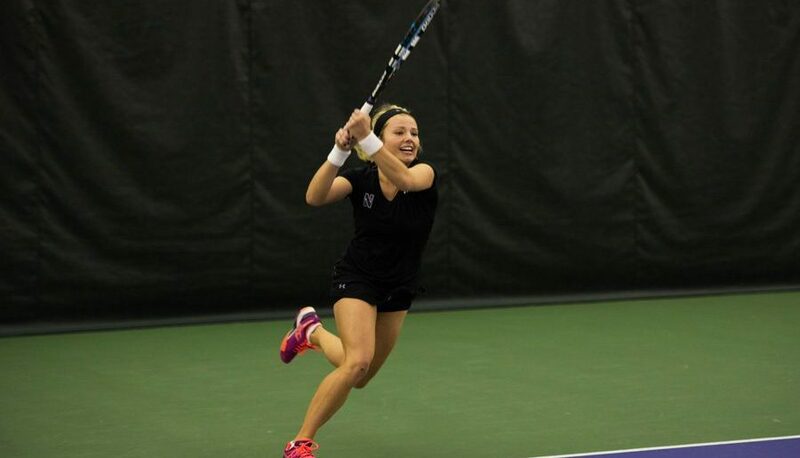 The Women’s tennis team also earned themselves an NCAA Tournament bid and will face Ole Miss in their first round matchup. 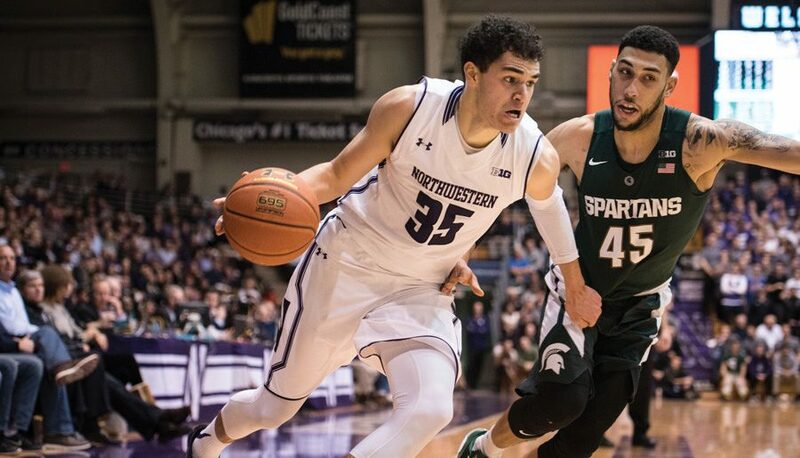 Northwestern sophomore guard Bryant McIntosh was invited to join NBA MVP Stephen Curry to help out at Curry’s SC30 Select basketball camp, according to a video he tweeted out Tuesday afternoon. The camp is intended to help a select number of elite high school guards hone their skills. McIntosh previously assisted Curry with instruction last year.